If you've never given much thought to your intake of iron, now's a good time to take a look at this important trace mineral. Iron is a necessary component of hemoglobin, the protein in your blood that transports oxygen to your cells, making it a key player in energy utilization. ** Although iron has often been seen as part of a women's nutritional health support system, it is an important mineral for men as well. 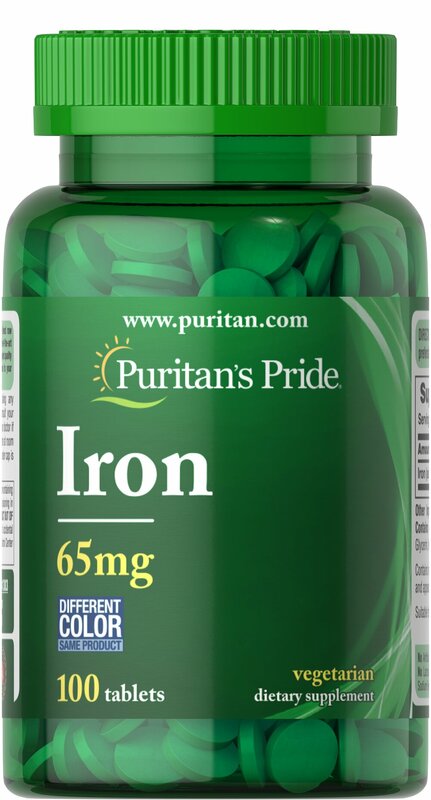 ** Puritan's Pride Iron is created from the finest raw materials and is produced under strict quality control standards.